Sainsbury Christmas advert 2016, directed by Sam Fell at Passion Pictures. I did some early background concept designs for this 3mins stop-motion project. 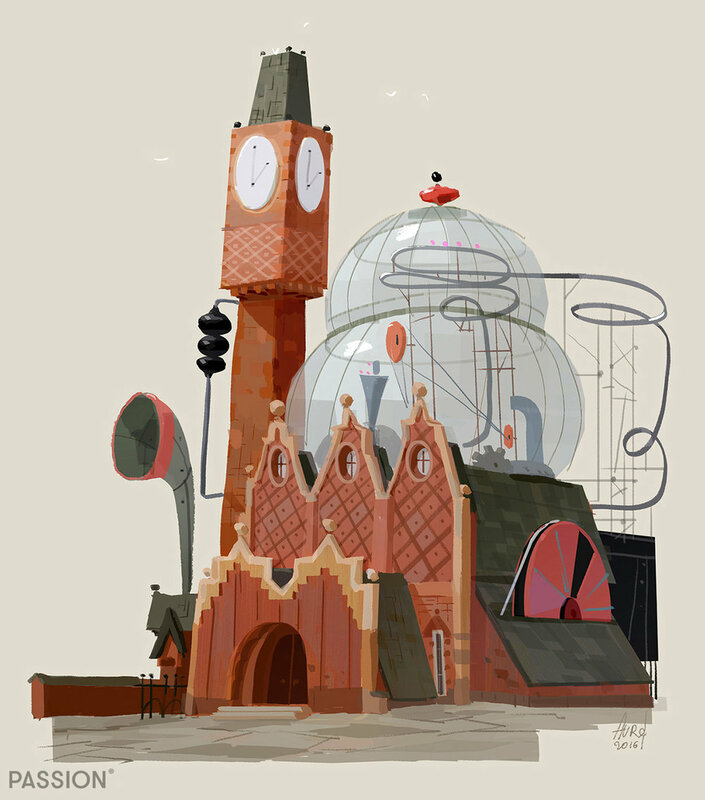 I mainly worked on the Toy Factory exterior & interior. Here the final commercial. Stop frame commercial directed by Steve Harding Hill. I did some character designs exploration for the campaign pitch in 2016. All the characters are made from sofa fabric. You can see the amazing final result here. 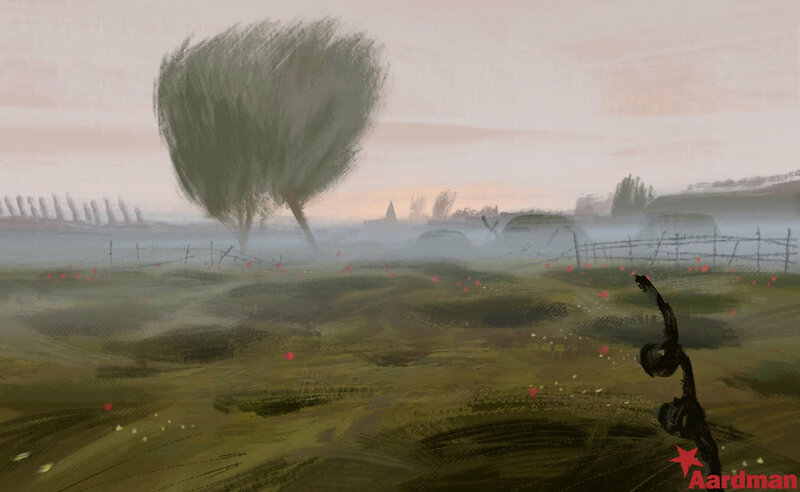 To commemorate the First Word War Centenary and the opening of the new gallery at the Imperial War Museum in London, Aardman created a 1:30 mins film, directed by Darren Dubicki. 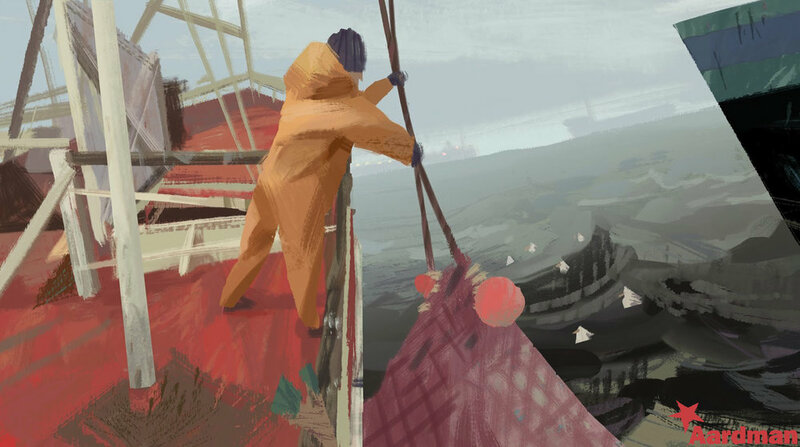 The artistic aim of this commercial was to recreate a painted-feel animation, using as main inspiration the art of English war painters - like Paul Nash - and their muted color palet. I was in charge of the background designs, paintings and colour direction. 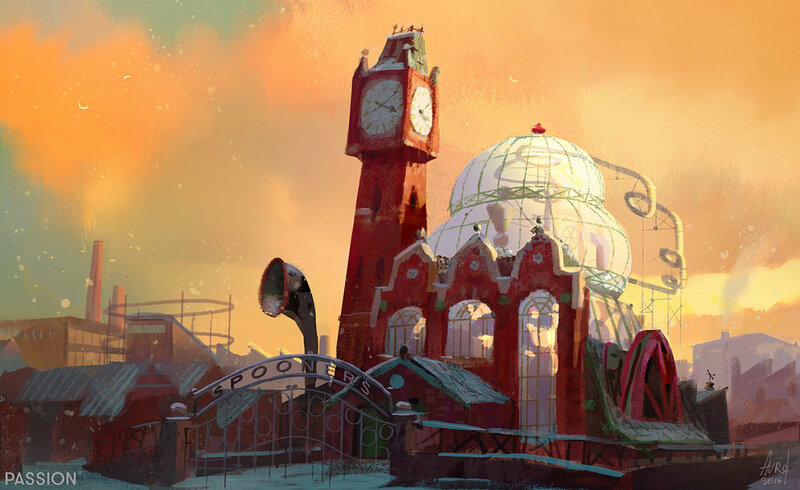 The project earned an Annie Award in 2015 for Best Animated TV/Broadcast Commercial. Happy Meal CGI commercial directed by Laurent Nicolas for Passion Paris in 2010. Design and Layouts by Zébé.